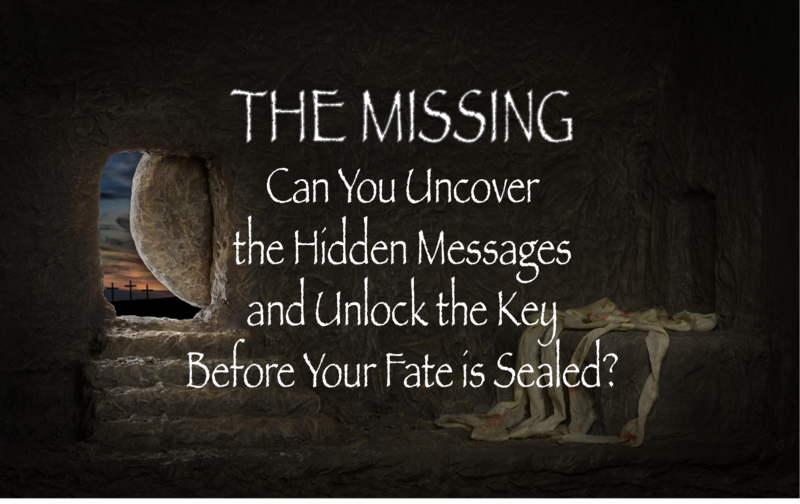 CAN YOU AND YOUR TEAM DISCOVER THE KINGDOM KEY TO ESCAPE IN 60 MINUTES? 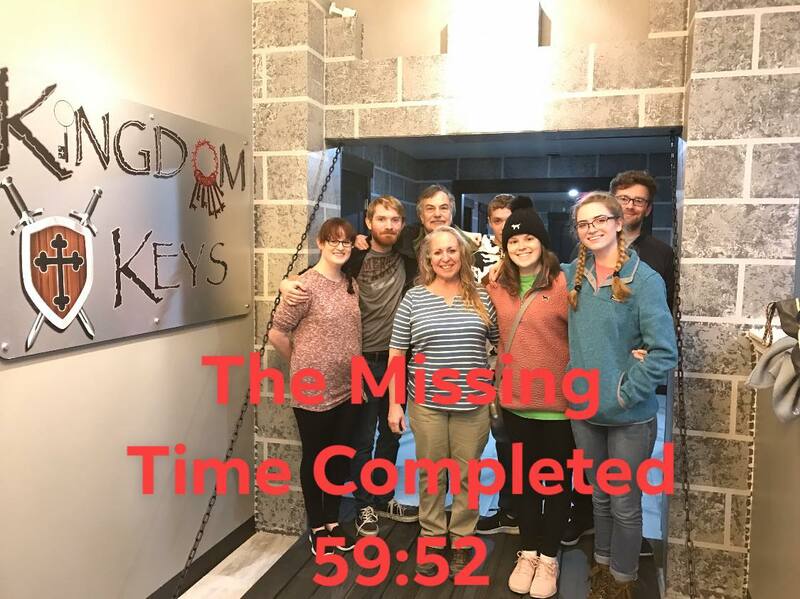 SEARCH the environment, SOLVE the puzzles, DISCOVER the keys, APPLY the knowledge you've gained, and UNITE as a team to UNLOCK the Kingdom Keys to ESCAPE the world! 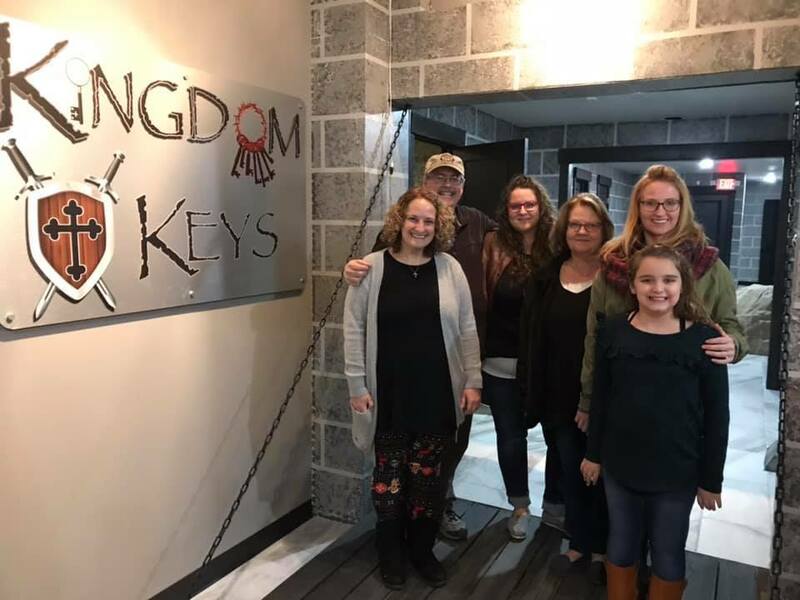 Kingdom Keys Adventures is an exciting live action adventure for family, friends, co-workers, church staff, church leadership, youth groups, and anyone else looking for a fun wholesome activity. While there is no biblical knowledge needed to solve the mysteries presented in our rooms, it is our goal that you leave more spiritually equipped to overcome the world than you entered! There is no better way to bond as a family or team than to put your physical, mental, and spiritual abilities to the test! Discover the unique qualities that each member of your team brings to the table, while uniting with a common purpose! Perhaps you will even enter our rooms as complete strangers, but leave with more brothers and sisters in Christ! What is a Kingdom Keys Adventure? 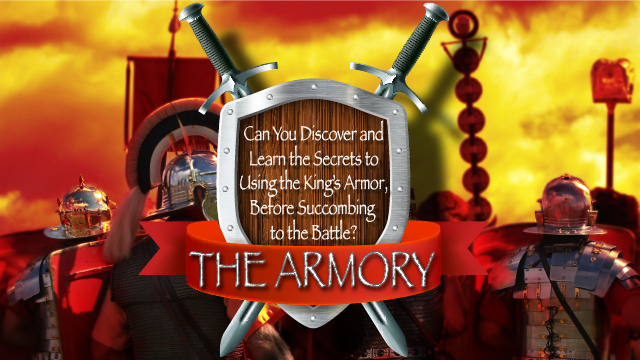 Book your Kingdom Adventure online or from your mobile device! Check on availability and BOOK YOUR ADVENTURE TODAY! You have a mission. You have 60 minutes to complete that mission. You have a team to help you complete that mission so you can escape in time. But are you really locked in the room? Many people worry about the idea of being locked in a room. While we do want you to be equipped for the Kingdom, we don’t want to cause any of our players crippling anxiety or fear. For that reason you can walk in and out of the room at any time you wish. We won’t judge or penalize you if you need to go to the bathroom, step away from your intense teammate, or just need a minute alone to think. Your teammates and your teams success on the other hand might suffer greatly when you leave the room. There is no special biblical knowledge or skill level you have to have to escape our rooms. 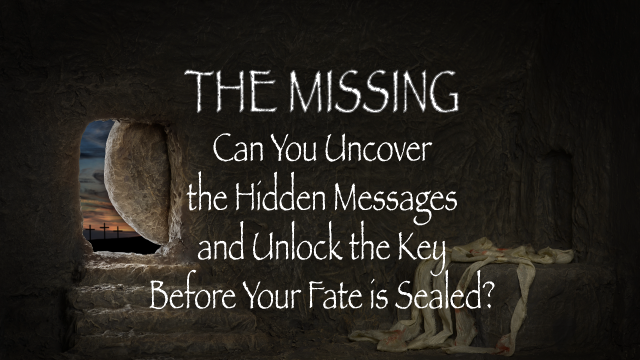 All the clues you will need can be discovered by Seeking out the clues and applying the resources provided. That being said, each member of your team is valuable in the knowledge and skill-sets they bring into the Kingdom! Do you have what it takes to discover that knowledge and those skills before it is too late? Kingdom Keys Adventures Featured on Good Day NWA April 4th, 2019! If you are breathing you can play! If not, let us Pray! It's a win win either way! As Christian parents of three girls, we are always looking for fun, wholesome, and interactive things to do as a family. Kingdom Keys Adventures was birthed forth as a result of so few options being available. We found that each escape room we went to, brought us closer together, helped us learn better family communication, highlighted each of our family members God given gifts and talents, and most importantly unified us as a family to reach a goal. While each of our rooms is Christian themed, family friendly and biblically based, anyone who is looking for a good time with friends and family will not be disappointed by our awesome escape room adventures! Are you looking for something fun and different to do on your date night? Our escape room adventures are a fun way to bring you and your date’s night to the next level. Whether you choose to book out the room completely so that you have the room to yourselves, or you play with other couples and teammates, you will learn far more about each other in this fast paced, fun environment than you will sitting in the movies! It is time to stop just being a hearer of the word, but a doer of the word. 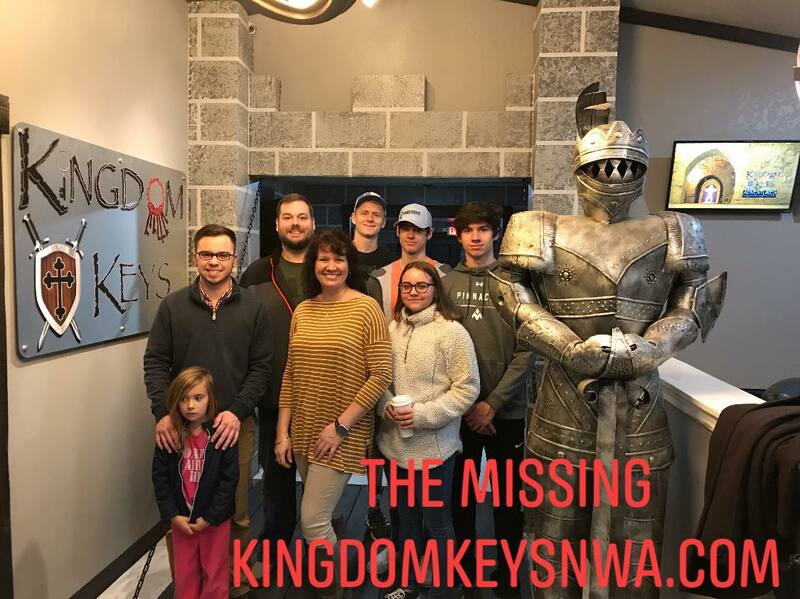 Book your Kingdom Keys escape room adventure today! It is time to put your skills to the test! It’s time to get out from behind the screen and put your skills to the test in one of our live action escape room adventures! Some of the greatest needs in the Church today are unity, bi-directional communication skills, problem solving and the ability to work together for His common purpose. Getting your church staff and leadership working together effectively can be a huge source of division and strife. We can help Unite your team! In our fun and fast paced environment we can help quickly identify the personality traits, communication styles and skill sets within your group. We can then use that knowledge to help each member of the team work in better unity with those around them! Call us today to book your Church Leadership Training Event! Sometimes the best way to grasp God’s word is to bring it to life with practical and real world examples. Now you can immerse your group in a real world adventure to discover God’s word and learn to apply it, all while bonding and fostering unity! Anytime we work together building unity within your team is essential. In the fast paced environment of an escape room, everyones skillsets and personalities are brought to light quickly, allowing each member to have fun, while learning so much about their fellow teammates personalities, communication styles, and special skills. Call us today to find out more about our Leadership Training and Team Building opportunities. You can play this game together with your family members, friends, youth group, athletic team, church members, colleagues from work or play it as a church leadership training or corporate team building game and have fun with them for one hour. There is no faster way to learn what the people around you are made of! 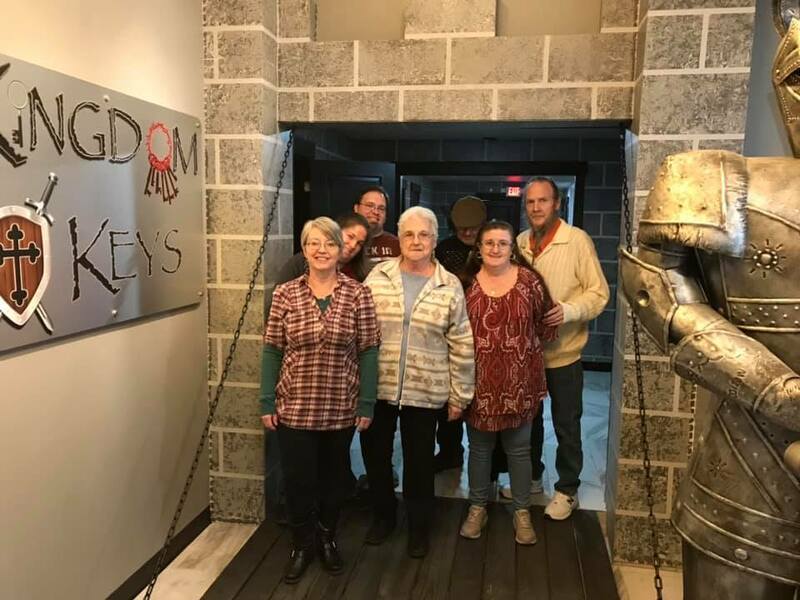 Kingdom Keys Adventures offers you an experience different from other classic activities done as a group; you can find the opportunity to test your mind, body and spirit! Use your biblical knowledge, concentration, observation, problem solving, communication and decision making competencies in a fast paced fun environment! We always recommend that you book online prior to making a trip to Kingdom Keys Adventures. Rooms can fill up hours or even days in advance, so secure your preferred spot as soon as possible! We do require that you book 2 hours in advance of any escape room adventure. This is so we can ensure the room is ready and we are appropriately staffed. 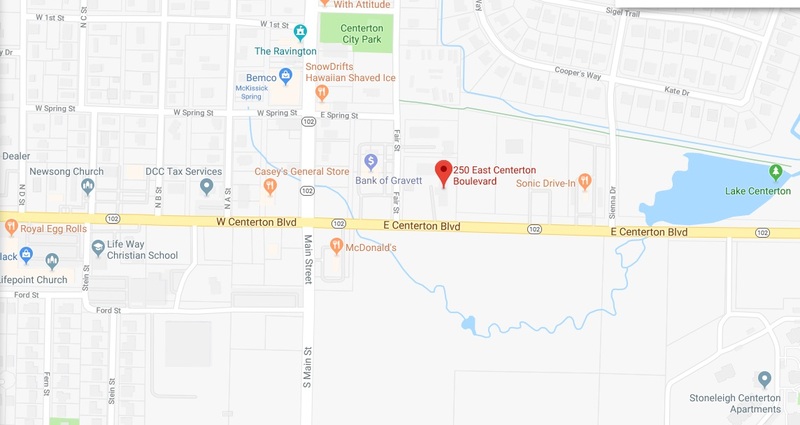 If you are in the area and want to stop by to see if we have immediate availability, or you are looking to book a time slot that is less than two hours away, we strongly recommend that you call in advance, but of course you are always welcome to just stop by and check. We do not have any cash on-site at Kingdom Keys Adventures, so booking by phone, on-line, or in-person does require a credit or debit card. If this is not possible for you, and you still wish to take part in an adventure please call us. No. Please keep in mind that each adventure is a live event, so once the booking is confirmed, refunds or cancellations are not allowed. You may reschedule your adventure at any time prior to 48 hours before your reservation. Games may not be rescheduled with less than 48 hours before your adventure. We understand emergency situations happen and plans change, however as a business we can not afford to staff and prepare for an adventure and be expected to issue refunds because your plans change. What time should I arrive for my adventure? It’s important that you arrive no later than 15 minutes prior to the start of your game. Your mission instructions and game briefing begins prior to your scheduled adventure, so please don’t be late! If you arrive late, you may not be able to join your team if the adventure is already in progress and no refunds will be issued due to your late arrival. Will I be playing with other Kingdom Seekers? You may or may not be paired with other players depending on if there are other players wanting to book the adventure during the same time slot. If you do not wish to play with other players then you may purchase at least FIVE tickets in an EMPTY room, the reservation will become private and your group will play alone. Keep in mind, if you book five or more in a room that already has other players, the room will remain open unless the maximum capacity is met. Whether you play on your own or with new friends, you will have an amazing adventure that you will never forget! What are the age requirements for participants? Family friendly is the name of the game at Kingdom Keys Adventures! From toddlers to great-grandparents, everyone is sure to have a blast! Children’s spirit of adventure and exploration will help the team find clues and see things from a different perspective, while the wisdom, knowledge and/or patience of the older participants will be useful in many other areas. One thing is for sure, no matter what the age you will have an awesome time! Keep in mind that you will need to keep your eye on toddlers to ensure they don’t damage our props. Children under the age of 14 are required to have an adult aged 18 or over in the game room with them. Children aged 15-17 are required to have an adult aged 18 or over on site, but are not required to play the game with them. Can I get out of the room without finding the Kingdom Key? Fear not! You have a mission, you have your team, you have 60 minutes…but will it be enough? While you have the freedom to leave the room for a break, realize your team has to make it without you while you’re gone. Step away, take a break, then get back in there. You are an important key to your team’s success! How much does a Kingdom Keys Adventure cost? The cost to play is $25 per person and is due at the time you make your reservation online or by phone. Please note that children 4 and under are free. Some people hesitate to pay for a 5 or 6 year old, but we find that children over 5 become active participants and not only enjoy the experience but walk away with important Kingdom life lessons. As a family with a budget, we know the importance of sowing seeds of investment into our kids future, and we pray you will see it the same way after your experience at Kingdom Keys Adventures! 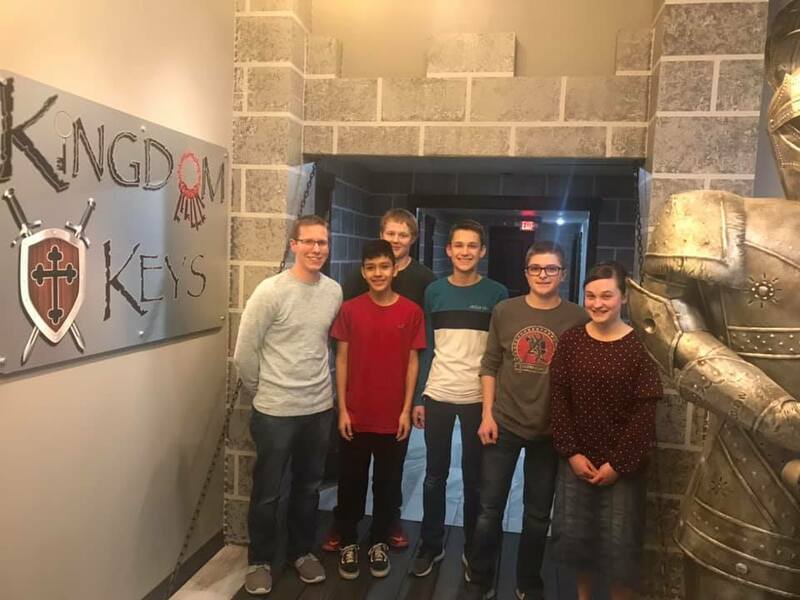 Each of our adventure rooms immerse the players in a biblical theme with the goal of finding the Kingdom Secret or Kingdom Key that will set you free. Each adventure may require you to solve puzzles, find clues, seek out Kingdom truths, apply the truths you have learned in practical ways, solve riddles, perform physical and mental challenges. Each adventure is designed to be completed in 60 minutes by concentration and solving the puzzles. You do not need any special biblical knowledge or talent other than using your brain, communicating and working with your teammates and acting fast. This, however, does not mean that everybody can finish the game the first time they try! Bring ALL of you! Your mind, body and sprit! Your zeal for seeking out the Kingdom of God, your sense of adventure, your problem solving abilities and a dedicated commitment to team work! Dress in whatever makes you comfortable, but please keep in mind this is a family friendly environment. You will be squatting down, climbing through, looking under items and seeking clues and objects throughout the room. If you need reading glasses or hearing aides please bring those with you. You DON’T need cell phones, video cameras, recording devices of any kind, calculators, or anything else that will distract you or other participants in the room with you. Yes. All of our adventures are family friendly, and unlike many other escape rooms, our themes are never fear based. Some of our rooms do have physical challenges, and all of our rooms are played with multiple players. Because of that there is always a risk of personal injury and extra caution should be used. We strive to maintain a safe and clean environment and are committed to a family friendly atmosphere. We will not allow any gaming under the influence of drugs or alcohol. We also will not permit any use of inappropriate language. Anyone not following these rules will be asked to leave the game immediately and no refunds will be issued. In addition, there will be real time monitoring by our Game Masters in all of the rooms that have players. You can finish the game whenever you want and leave the room by simply walking out the door you entered. Please note that some rooms may make use of fog machines or special lighting for added effects. Those with allergies, asthma, or seizure disorders may wish to contact us for more information, or to make special arrangements. CLICK HERE to check our schedule or make a reservation with Kingdom Keys Adventures! First all Christian-themed escape adventure complex ever! Such a fun, family-friendly event! It was neat to find clues, using bible verses. Definitively looking forward for the next theme to come out! Decor and props are impressive! Kingdom Keys was even better than I had thought it would be. It was fun working together with the other players and the puzzles were challenging enough to keep us engaged, interested and surprised as each clue was discovered and solved (even if we needed a clue or two!) The decor and props are impressive, check-in is easy... I can’t wait to go back and see the other rooms! Everyone needs to go play! This is the escape room that everyone needs to go play! So much fun!!! Can’t wait for the other rooms to open up. I can’t wait for new rooms to open! A fun and amazing experience!!!! Highly recommend it and great for all ages. Our family from age 10 to 65 went and we all enjoyed it. You won’t regret it. Well worth it and I can’t wait for them to get the rest of the rooms available. 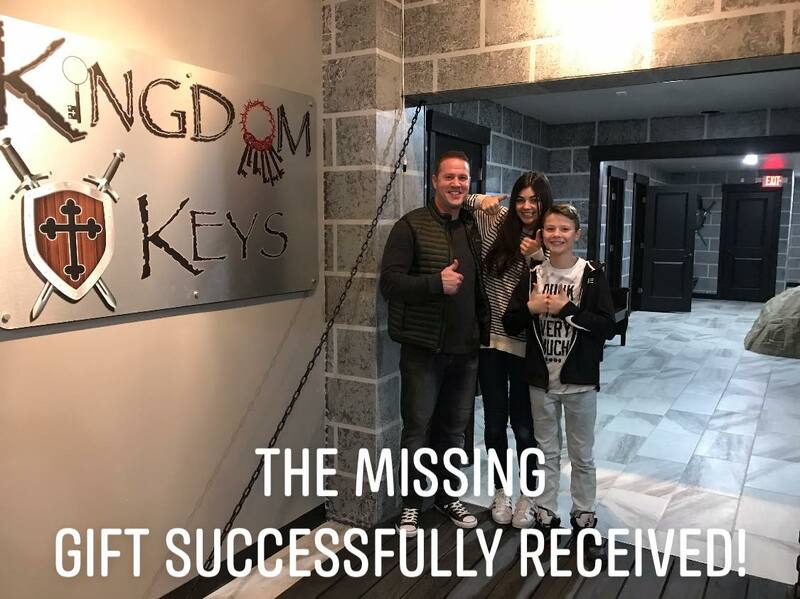 I’ve only done one escape room before this, but my 17 year old has done several and she said she had the most fun at Kingdom Keys. I agreed. It was entertaining for myself and all four kids, ranging in ages from 3 to 17. It’s difficult to find activities that reach all of my kids’ interests, but we found it here. We enjoyed working together and solving the puzzles, and talked about it together for awhile after we got home, and the three year old enjoyed playing with the props as we worked together to solve. It was so exciting to see my kids work together as a team to accomplish one goal! 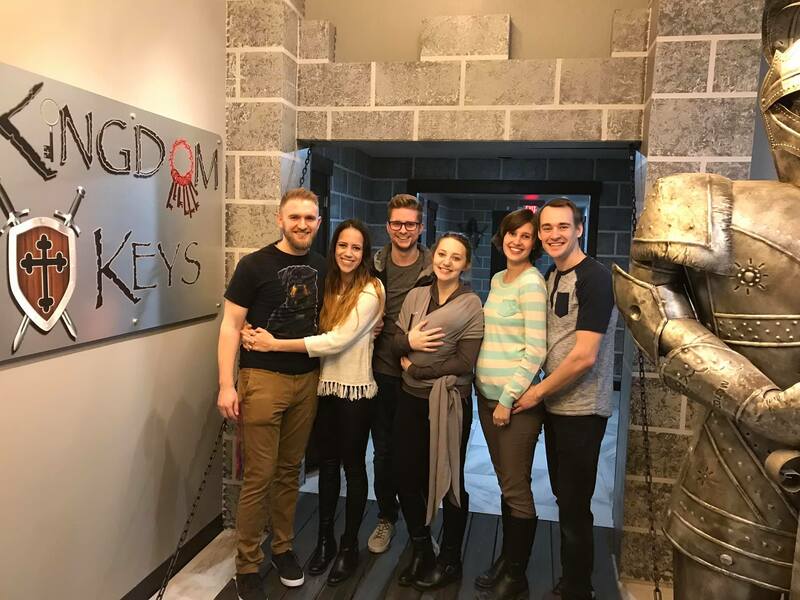 I highly recommend Kingdom Keys if you’re looking for a fun, high quality, family friendly activity that fosters team work! We will definitely look forward to coming back for more fun! Our youth group thoroughly enjoyed our experience at Kingdom Keys Adventures. We were challenged, but not overwhelmed, and the employees were helpful in every way. If you’re looking for a fun family night with a Biblical lesson, I highly recommend this escape room! Prepare yourselves for an experience unlike any other! Come join fellow Seekers as you gain crucial knowledge about the Kingdom of God! To be added to your ‘to do’-list for Northwest Arkansas! Don't miss this amazing adventure! You will learn, have fun, and grow! We look forward to hearing from you and seeing you soon at Kingdom Keys Adventures!